From PartsSquare-the seller from USA Faster delivery (about 3-6 workdays) and good service High-quality car parts in millions of kinds for you to choose Brand new and one-year warranty Compatibility List (Please read this fitment carefully!! 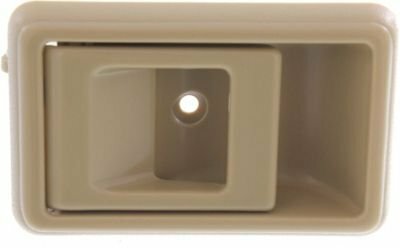 ): 1995, 1996, 1997, 1998, 1999, 2000 Toyota Tacoma About the item: The door handle is constructed to fit the exact design of your car. It can be installed on the Interior Front Left & Front Right without any modification. It is a quality replacement that is made with high quality material to provide the best performance and reliability. This part looks and performs like original equipment -- they're all based on the same original equipment designs. 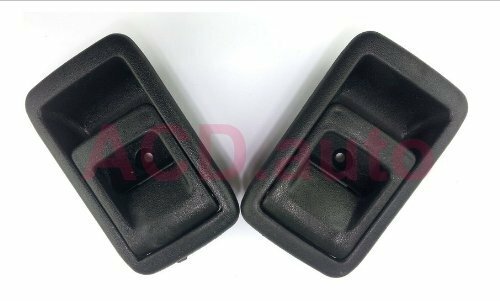 Package Includes: 1 x Gray Interior Front Left Driver LH Side Door Handle 1 x Gray Interior Front Right Passenger RH Side Door Handle Note: If you want any other door handles, please search in our shops. If you have questions about our items, please feel free to contact us. 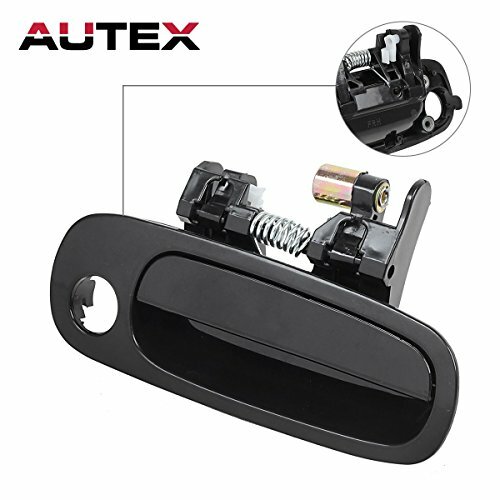 From AUTEX-the seller from USA Faster delivery (about 3-6 workdays) + good service High-quality car parts in millions of kinds for you to choose About the item: The door handle is constructed to fit the exact design of your car. It is a OE replacement that is made with high quality material to provide the best performance and reliability. This part looks and performs like original equipment -- they're all based on the same original equipment designs. Compatibility List (Please read this fitment carefully!! ): 1995-1997 Toyota Tercel (4-Door/2-Door,Sedan) 1998-1999 Toyota Tercel (2-Door,Sedan) Package Includes: 1 x Gray Interior Front Left(Driver Side) Door Handle 1 x Gray Interior Front Right(Passenger Side) Door Handle Note: If you want any other door handles, please search in our shops. If you have questions about our items, please feel free to contact us. 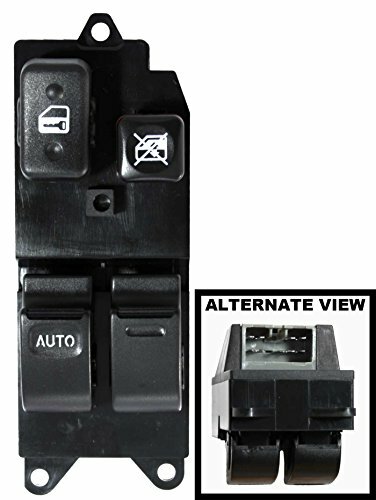 Product's SKU: DHTOBK214RLRRUSAM Product's OE Number For Reference: 69240-0A010 Application For: Toyota Tercel 1995-1999 Black Rear LH&RH Warranty: YES Color and qulility:As the pictures show Please make sure the OE and car model in our listing are the same with car part you need. Item condition: 100% NEW Package：Safely and clean with Pieces, carton and foam. The item may need to take 7 days to 20 days to arrive at your place. If you have any question ,please feel free to contact us.Thank you for your supporting. From PartsSquare-the seller from USA Faster delivery (about 3-6 workdays) and good service High-quality car parts in millions of kinds for you to choose Brand new and one-year warranty Compatibility List (Please read this fitment carefully!! 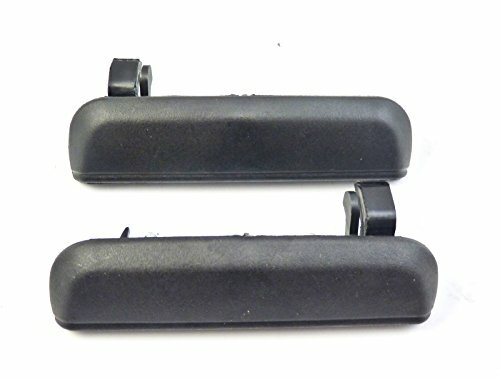 ): 1995 1996 1997 1998 1999 2000 Toyota Tacoma1987 1988 1989 1990 Toyota Tercel About the item: The door handle is constructed to fit the exact design of your car. 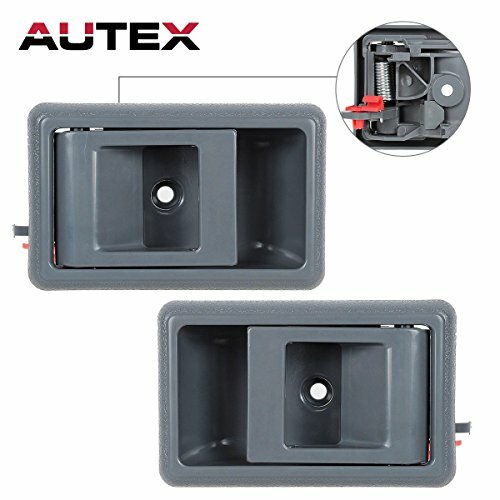 It can be installed on the interior front right side without any modification. It is a quality replacement that is made with high quality material to provide the best performance and reliability. This part looks and performs like original equipment -- they're all based on the same original equipment designs. 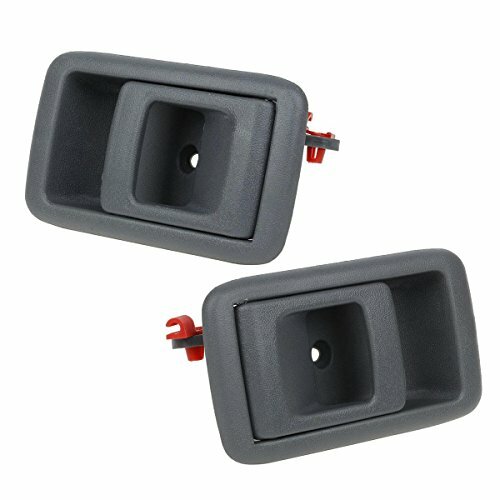 Package Includes: 1 x Gray Interior Front Right Passenger RH Side Door Handle Note: If you want any other door handles, please search in our shops. If you have questions about our items, please feel free to contact us. From PartsSquare-the seller from USA Faster delivery (about 3-6 workdays) and good service High-quality car parts in millions of kinds for you to choose Brand new and one-year warranty Compatibility List (Please read this fitment carefully!! 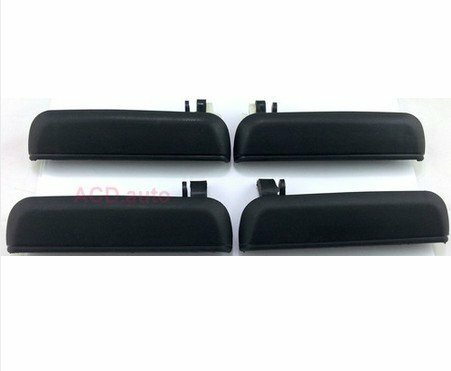 ): 1998, 1999, 2000, 2001, 2002 Toyota Corolla About the item: The door handle is constructed to fit the exact design of your car. 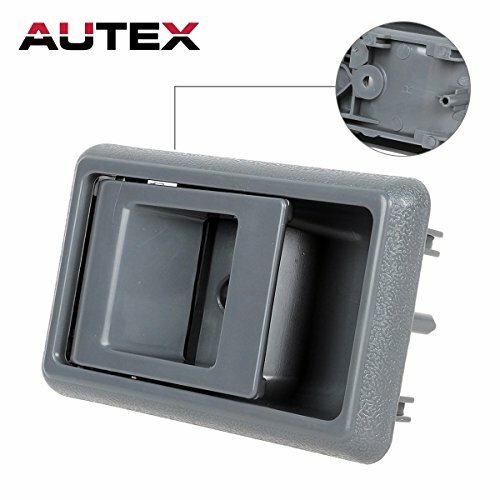 It can be installed on the exterior front right without any modification. It is a quality replacement that is made with high quality material to provide the best performance and reliability. This part looks and performs like original equipment -- they're all based on the same original equipment designs. 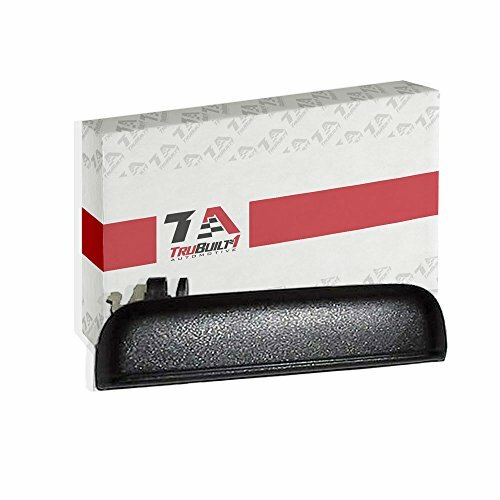 Package Includes: 1 x Exterior Front Right Door Handle Note: If you want any other door handles, please search in our shops. If you have questions about our items, please feel free to contact us.